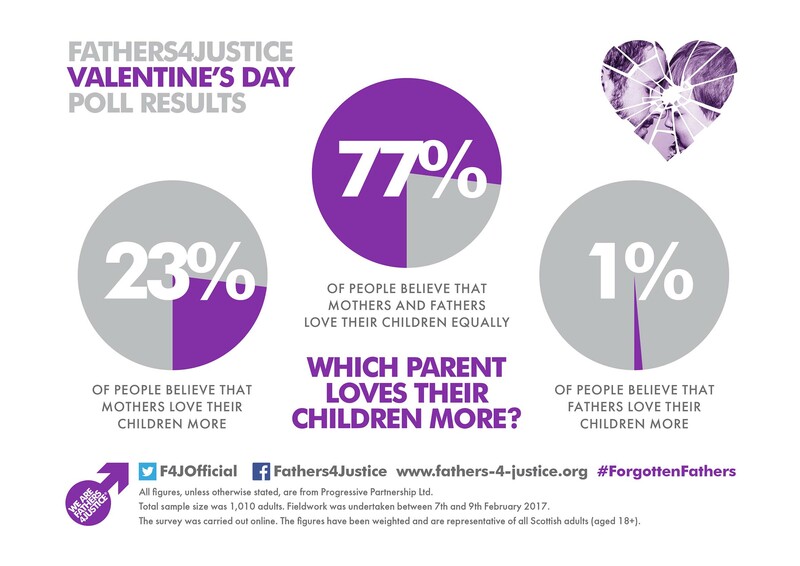 A poll for Valentine’s Day has revealed that 23% of Scots believe mothers love their children more than fathers. 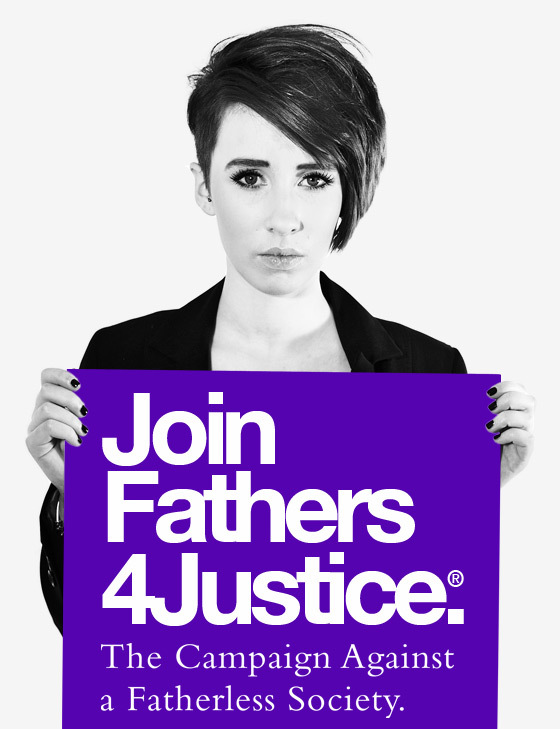 The poll, by Progressive Partnership in partnership with YouGov, was released as part of the “Forgotten Fathers” initiative from Fathers4Justice (F4J) which aims to highlight the increase suicide risk amongst separated dads in Scotland. The campaign aims to break the wall of silence surrounding the suicides of separated fathers in Scotland which F4J says they are increasingly dealing with, including cases like that of Lee McGregor (ADD LINK), a separated dad and 31-year-old oil worker from Aberdeen who took his own life last year after losing contact with his children.